1) Start: Tian’anmen Square, Beijing. 2) Finish: The Celebration Square in central area of Scenic Boulevard in the Beijing Olympic Park. 3) Race Course goes through Dongcheng District, Xicheng District, Haidian District, and Chaoyang District in Beijing. 1) The races will be conducted in accordance with the rules and regulations of the IAAF, the CAA and the Race Organizer. IAAF Road Race Label Regulations also apply to the Beijing Marathon 2018, which has been certified by the IAAF as a Gold Label road race. 2) Roll-call: All general participants are suggested to wear the bib number in front of the chest correctly and arriving at the Tian’anmen Square 60 mins before the race start for roll-call.Elite athletes need to arrive at the designated roll-call area 40 minutes prior to the race start, and handing their original personal ID or passport up to the event staff. 3) Race Start: All participants start at 7:30 a.m. with one shot in the sequence of elite athletes and general participants (In alphabetical ascending order). Wheelchair racing participants need to start at the end of all. ① All participants should wear the timing chip correctly, that start working when crossing the start line, all gun time and net time are listed on the result certificate. Timing chip is to be released with bib number at Beijing Marathon Expo 2018. No deposit required. ② Timing carpets are placed at the start line, each 5K, half point(21.0975KM), turning point and the finish line. Participants need to go through each timing carpet during the race with qualified race result and race ranking. Result will not be qualified for final ranking if there is any split time point missed. 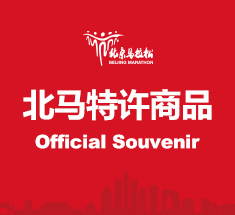 6) Bag Storage and Pick-up: All participants shall storage personal belongings by the bib number at designated area of Tian’anmen Square. After finishing the race, participants shall go to respective area for storage bag pick-up. Please do not put valuables in your storage bag (such as mobile phone, identification document, cash, keys, credit card, iPad, etc.). In case of damage or loss, participants shall bear all the consequences arising. Bag storage on race day will be stopped 15 minutes prior to the race start. Please plan your time accordingly. Bag pick-up will be available until 14:45 (Beijing Time) on race day at designated areas. The organizing committee will keep the bags who can not get it on time on the race day for one week only, participants need to pick up bag at the organizing committee with your personal ID and bib number. ① Temporary toilets are settled at start area, 2KM, 3KM, 4KM and 5KM point, each 2.5K from 7.5KM to 40KM point and finish area. ② Spray stations are settled around at 13KM, 18.5KM, 23.5KM, 28.5KM, 31.5KM, 33.5KM, 35.5KM, 37KM, 39.5KM, 41.5KM. ③ All participants are responsible for environmental protection and cannot free to urinating and discard any wrapping paper, bottles and trash. ① Medical aid stations will be located at the start area, each 2.5K after 5KM and the finish area. On-site medical staff reserve the right to stop a participant from the race out of the best interest of the participant’s health and welfare. Participants should stop racing if ordered to do so by officials. Otherwise, participants are responsible for any medical expense incurred. ② AED first aid service will be provided along the race course as well. ③ Medical volunteers who wear the yellow shirt standing along the course are assisting with medical staffs, please call them or . Participants can ask help from these volunteers when needed. 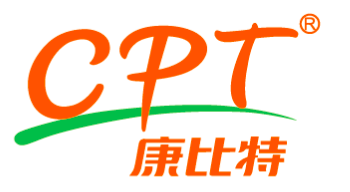 10) Doping control is conducted under IAAF Anti-Doping Regulations and Chinese Anti-Doping Regulations. 11) Other matters relate to the race please refer to the Official Program. 1) Age Requirements: All entrants shall be over 20 years old (born before December 31st, 1998). 3) Race Capacity is 30,000 entries, when the maximum number of entries has exceeded, participants will be chosen by lottery. Please read Registration Notice carefully before registration. ① Registration Fee: 50 USD/person. ② Selected entrants must pay the entry fee by ALIPAY or PAYPAL before the deadline. If the payment is not received by the due date, the application will be void. ③ Registration fee is not refundable once the selected entrant finish payment. ① All participants are going to receive email for race number notice, please download or print the certificate out for race bag pick-up. ② All participants need to go to the Beijing Marathon Expo 2018 to pick up personal race bag. Details will be released prior to the race on the official website. 1) Ranking Awards: Top 8 male and female athletes will be awarded. Note: Awards are based on both result and rank achieved. 2) Special Awards for Chinese Participants: Top 3 Chinese male and female athletes will be awarded. 3) All above-mentioned awards will rank by gun time. Athletes will be disqualified if they doping test failed, however, the ranking for all will not be changed. 4) All above-mentioned awards are subject to a 20% personal income tax. 5) Top 3 male and female athletes will be given a trophy and a medal. 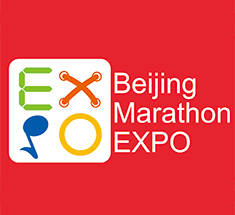 6) Race T-shirt, race bag, bib number, timing chip and Official Program will be provided at Beijing Marathon Expo 2018. 7) The participants who finish before the 13:45 (Beijing Time) on the race day will be awarded with Post-Race Package, finisher T-shirt and medals. 8) All finishers check results and download finisher certificate on official website 24 hours later after the race. Split time, gun time, net time will be listed in the certificate. Result will not be qualified for final ranking if there is any split time point missed. 1) Misrepresentation on age when registration. 2) Racing with two or more than two timing chips (including one participants carrying timing chip of the other gender). 4) Not following the start order and start at non-designated area, false start etc. 5) Continuing racing after cut-off time or back to the course in the midway. 6) Taking any public transportation to finish race, but not running. 7) Crossing the finish line repeatedly or not completing the whole distance but crossing the finish line to get Post-Race Package, finisher T-shirt and medals. 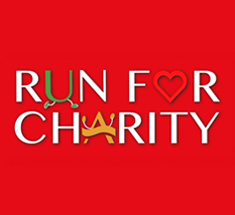 8) Forging bib number or using unofficial bib and timing chip to participate. 9) Not following with staff order. Rioters who disturbing the race order. 11) Other behaviors against the social security rules. 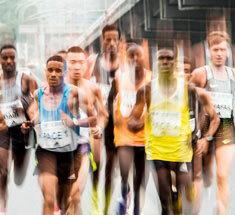 Consequences arising during the race from enrolling by misrepresentation or transferring entry to another person shall be banned of Beijing Marathon race for life. The Organizing Committee has the right to investigate the responsibility of related persons and appeal to the law. Insurance will be provided to all participants and race relatives. Full responsibilities will be taken by participants if they fail to buy the insurance caused of incorrect information. Violators with any misrepresentation behavior are not eligible for insurance. Please read Specifications of Life Accident Insurance available on the official website prior to the race. Further notice will be announced for unmentioned issues. Beijing Marathon Organizing Committee reserves the right to interpret this rules & regulations.